Dr. McCormick is an interdisciplinary academic having completed a doctorate degree in molecular and cellular biology, postdoctoral fellowship in biological chemistry, masters’ degree in public policy, and NIH Center of Excellence in ELSI Research fellowship. This mix of experiences and expertise comes across in both her research and teaching. Dr. McCormick conducts empirical studies examining the policy implications and ethical challenges of translating research into clinical care and public health. 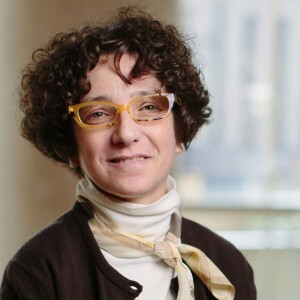 Much of her work focuses on the ethical, legal/policy, social implications of medical record and genomic data sharing, the challenges to protecting participants’ privacy and confidentiality in the era of ‘big data’, and the ethical complexities presented by translating genomic research findings into clinical and public health domains. She has also been involved in initiatives aimed at enhancing human participation in research and promoting professionalism and social responsibility in biomedical research. Dr. McCormick lectures frequently on topics related to research and translational research ethics, translational genomics, and social responsibility and policy. She has published on topics related to research ethics consultation, genetic and genomic research and biobanking, human research participant engagement and protection, and challenges in translational research. Beyond Sputnik: US Science Policy in the 21st Century (Neal, Smith, and McCormick) is considered one of the first general textbooks on national science policy and is used in science policy training and fellowship programs.